Are you upset about recovering your hacked blogs? Every blogger including me is always scared to see our blogs getting hacked and going into the dump. Thousands of blogs are being hacked daily by using various techniques like brute force, malware, etc. If you’re wondering how do I protect my blogs from these kinds of hacks, then, you’re reading the right post! 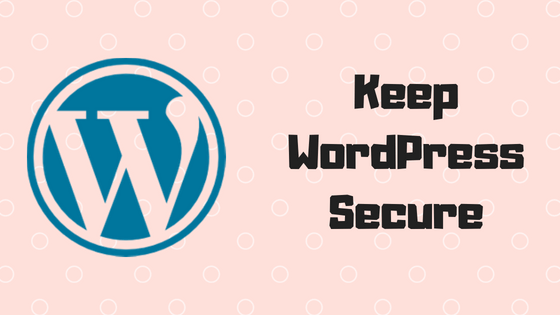 In this post, I’m going to share some tips and recommendations by which you can keep your WordPress blog secured, sit back and enjoy your cash without worrying! So, let’s start! Most of the hacks are being done due to the laziness of blog owners and usage of illegal/nulled plugins and themes. 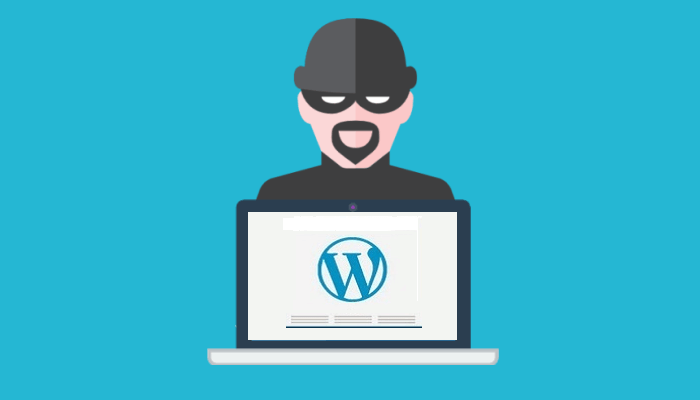 So below are the tips for keeping your WordPress blog secured and hack-proof. Why Does Your WordPress Blog Need To Be Secured? You might be wondering what will happen when my blog/s get hacked? Hacking can result in dangerous activities which might harm your blog traffic/rankings or maybe completely destroy your blog. Sometimes hacking is done to get backlinks for free. In that case, the hacker creates private pages which aren’t visible to you and add links to his/her site for their benefits. There are many networks which allow you to buy backlinks from such hacked blogs. I definitely don’t recommend this method to build links. After hackers hack your blog, they insert hundreds of links in your blog which is very risky and harmful for SEO of your blog. Most of the WordPress hacks are caused by this vulnerability. Bloggers simply install nulled/cracked premium themes and think they’re secured. I mean, there are thousands of good free themes available but they still choose to get premium ones for free. Nulled themes contain some secret files which allow hackers to inject code remotely and completely destroy your site. Same goes with plugins as well. I’ve seen many bloggers installed nulled plugins like Yoast Premium from unknown sources and then complaining that their sites have been hacked. Nulled plugins contain similar kind of malicious codes which help hackers to hack your blog. If you want premium plugins for free, simply ask developers to support you by providing them. They might give you a subscription for free. Many bloggers opt for cheap hosting companies which have bad infrastructure and support as well. Many vulnerabilities like SQL Injection, etc. can be found on these type of hostings which can allow hackers to get access to your CPanel and completely take your blog from you. Next time you choose hosting, take a look at genuine reviews and customer support so that you don’t face any issues later. CDN stands for ‘Content Delivery Network’. CDN helps to host your site on multiple locations and serve the site from nearest server to users. Using CDN can help you prevent brute force, DOS, DDOS, etc. type of attacks which generally takes the site to sleep. CDN like Cloudflare, MaxCDN, etc. are the best in the industry. There might be few cheap developers which provide plugins for free and later on hack your site. I’ve already discussed above the consequences of using nulled themes and plugins, which apply here also. I always recommend downloading plugins from WordPress Directory. Installing plugins using zip files can be harmful sometimes. So, always download plugins from trusted sources only. There are many good security plugins available like MalCare, WordFence, Sucuri, etc. which help you to protect your WordPress blog from malicious hacking attempts. It also helps you block DOS attacks. The major con of using these plugins is that they slow down your blog and affect the page speed. WordPress has many flaws and sometimes hackers use them to get access to your site. These flaws are patched in updates, so make sure you regularly update your WordPress to latest version. New updates are not only meant for new features, they bring bug fixes which help you keep your WordPress blog secured. Directory listing means to show the available files present in a directory to anyone. You need to keep it disabled so that unknown people don’t know what files are present on your blog. There are many tutorials present to do so. I would recommend you to follow this guide to disable directory listing in your WordPress blog. This is commonly known, but it is one of the most important precaution measures. Using commonly used passwords like abc123, 123456789, admin, admin123, etc. can result in an easy hack of your WordPress blog. Always use passwords containing numbers and special characters. Moreover, you can use plugins like iThemes Security to protect you from brute force attacks. You should also change the path of the login page from wp-login to something else. That’ll protect you from unknown login attempts. There are many plugins available for the same. After Google forcing sites to use SSL, you really need to shift to HTTPS. It not only gives a green signal to Google but also provide encrypted security to you and your blog users. Especially, if you allow user registrations in your blog. You can use Let’s Encrypt to get a free SSL certificate for your blog. Using cache plugin allow you to serve cached files to your users, giving you more bandwidth and protecting from DOS type attacks. Your server may get down(depends on the host) if you’re serving thousands of users in a while without cache plugins. Again, there are many free plugins available for the same. In case your blog gets hacked, you need a backup source, else you’re completely destroyed! Backups help you to recover your blog if something goes wrong about it. You can either take backups manually(using CPanel) or use plugins to get the stuff done for you. This schedule will help you recover your blog in emergency cases. A hacker tries to hack any blog in several attempts. First by gaining access and then doing illegal stuff. Always take a look at recent logins in your WordPress blog and make sure you’re the only one in the list. If you find some suspicious activity, change your password and username and log out from all the devices. In case you find a hacker in your blog before doing his/her stuff, you can protect your blog. So, these were some precautions and tips by which you can protect your blog and keep it secured. These are not the only precautions to follow, you need to be alert in every possible way to protect your blog from attacks happening these days. Hi, I Am Nitishk Gupta, a blogger and web developer. I am an addicted blogger who wants to share each and everything I have learned so far in my 4 years journey. You can follow my blog The Blogging Arena to get more blogging tips/tricks! Thanks for sharing this blog with us, your blog contains very important information about WordPress, I appreciate your work and effort. Please keep sharing more blogs. Thanks for sharing this article. yes I am agree with you every one need to be alert in every possible way to protect blog. thanks for sharing this information …keep sharing and posting ! !